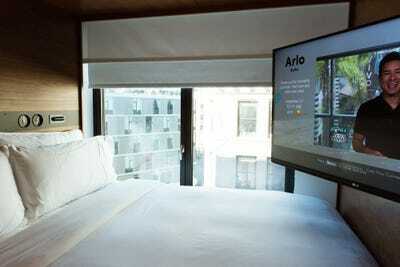 Business Insider/Jessica TylerRooms at Arlo Hotels are less than half the size of an average hotel room. 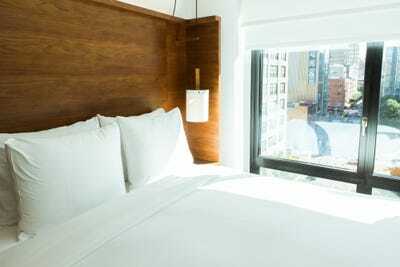 In New York City, a boutique micro-hotel offers 150-square-foot guest rooms – some with bunk beds – and a “bodega” in lieu of room service. 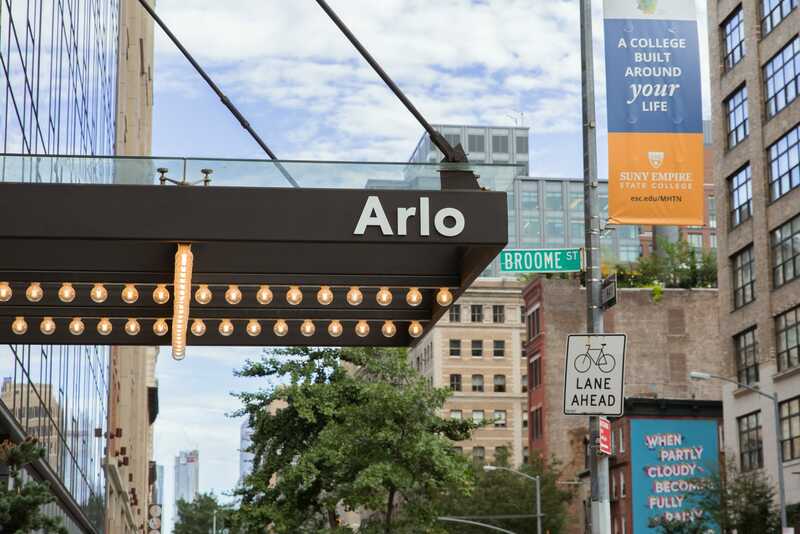 Arlo Hotels operates two boutique hotels in Manhattan: one in SoHo and one in NoMad, with another set to open near Hudson Yards in the next year or two. 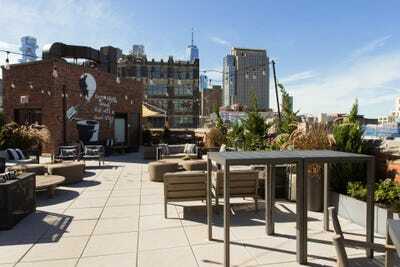 We visited the SoHo location, where average rates range from $US335 to $US535 a night. The rooms were definitely small, but for someone who doesn’t plan to spend much time in their hotel room and isn’t travelling with multiple large pieces of luggage, I think it would be a fun and memorable place to stay. Measuring just 150 square feet, the guest rooms at Arlo Hotels aren’t meant for people who plan on spending most of their time holed up in their rooms. At Arlo’s boutique micro-hotels in New York City, the rooms are less than half the size of an average hotel room, there’s a 24-hour “bodega” in lieu of room service, and you can sleep in bunk beds. 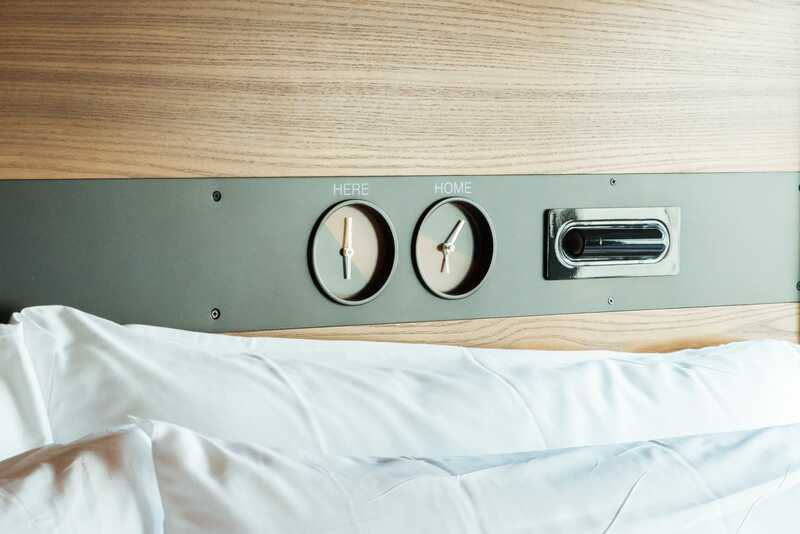 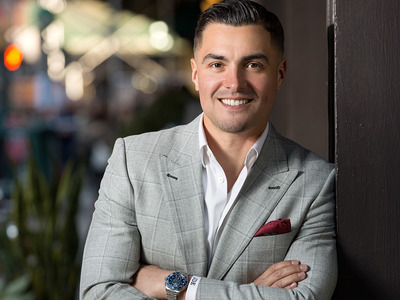 What the individual guest rooms lack in size, they make up for in creative, space-saving design, according to managing director Javier Egipciaco. 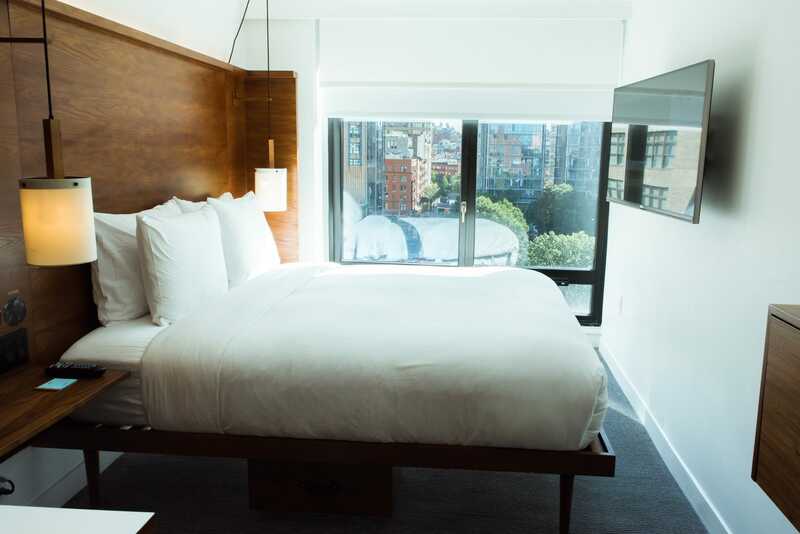 The average size of a hotel room in the US was about 330 square feet in 2015, CNBC reported, and the average rate for a hotel room in Manhattan is about $US216 per night in 2018, according to The Real Deal. 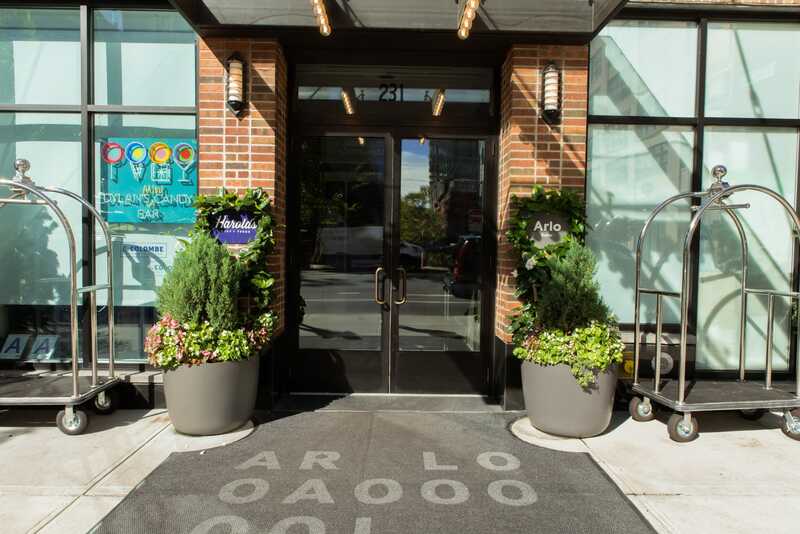 On Yelp, a couple of people compared Arlo to a hostel, with one calling it “overpriced fancy hostel” that lacks storage and space to work. 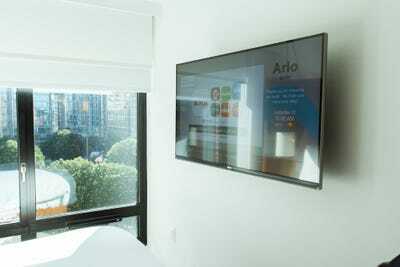 But Arlo’s philosophy is to offer an abundance of welcoming common space and activities to offset the smaller rooms. “The micro-room concept was one that we came to market with in the beginning, but then we realised pretty quickly that Arlo was a lifestyle and not necessarily a micro-concept lifestyle,” Egipciaco told Business Insider. Inclusivity is a large part of their brand, he said, which is why the common areas are all open to the public without requiring anyone to buy anything. 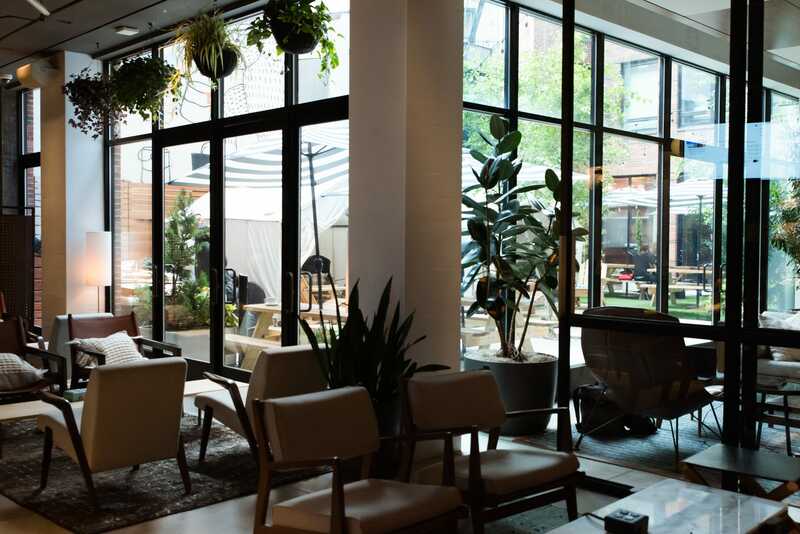 The hotel includes expansive, open shared space that comprises a lobby bar, an airy lounge area, a courtyard, a rooftop bar, and a restaurant that serves healthy, seasonal fare and is run by chef Harold Moore. 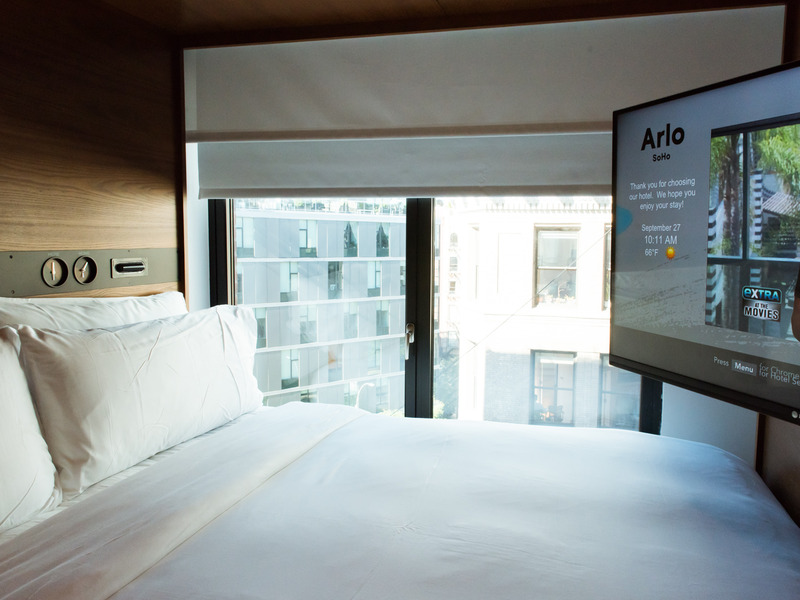 We took a tour of Arlo’s SoHo location to see just how small the rooms actually are and met the managing director to hear what Arlo Hotel is all about. We got to Arlo’s SoHo location at 9 a.m. to meet with the hotel’s managing director, Javier Egipciaco. 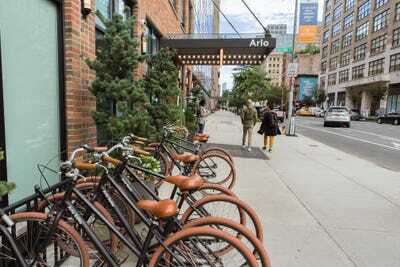 The hotel is in the trendy SoHo neighbourhood, near the Holland Tunnel. 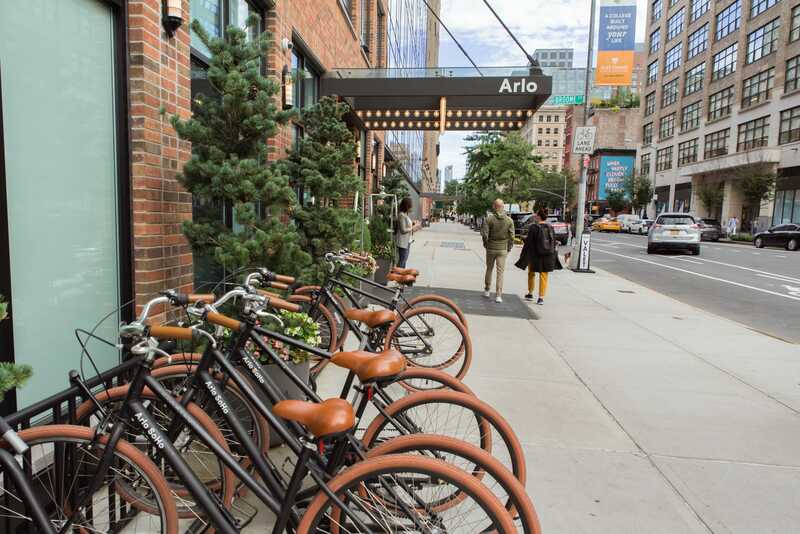 I immediately noticed the chic Arlo-branded bikes outside the entrance of the hotel, which Egipciaco later told us were available for guests to borrow free of charge. 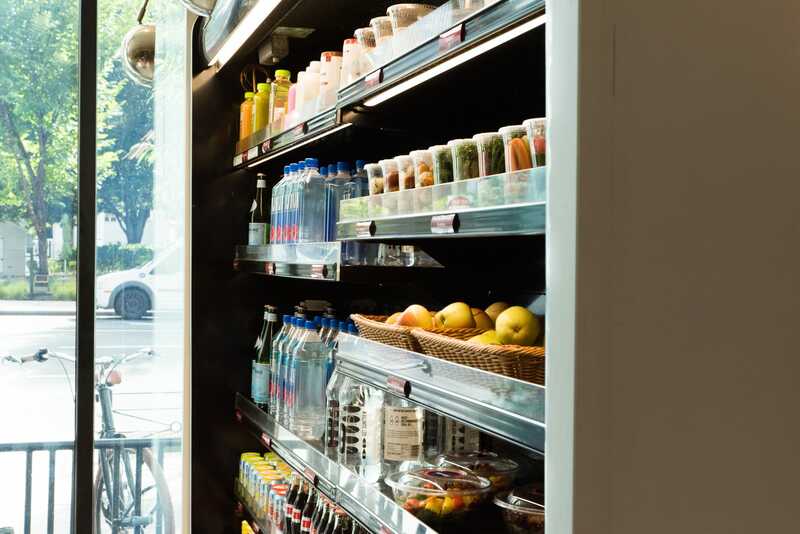 We couldn’t see inside through the windows, and the front doors were flanked by luggage trolleys like at any other hotel. We walked inside and my eyes were immediately caught by a colourful candy display, which we learned is a partnership with Dylan’s Candy Bar, a confectionary brand based in New York City. 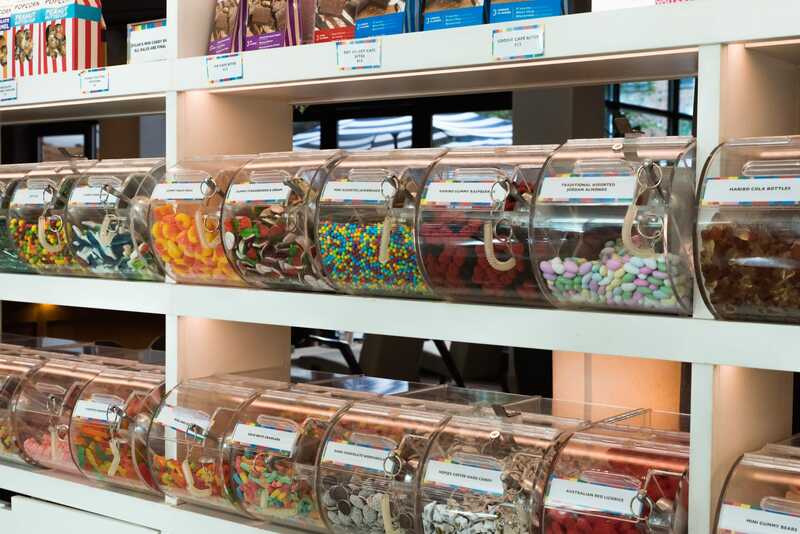 The hotel sees a spike in candy sales between 9 p.m. and 4 a.m., Egipciaco told me. The candy shop is part of what is internally nicknamed “the bodega” — in homage to New York City — which is a coffee shop and snack bar that’s open 24/7. 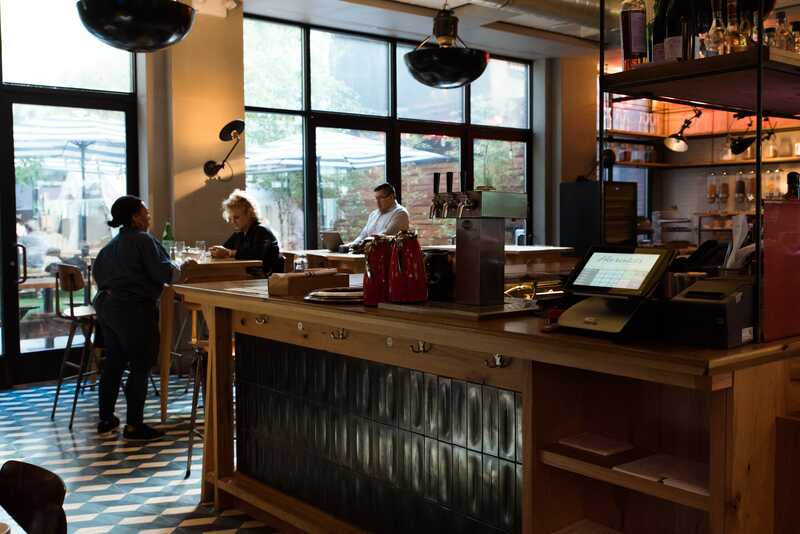 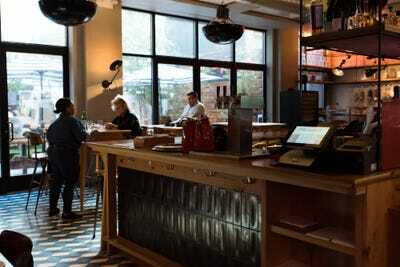 The “bodega” serves La Colombe coffee made by La Colombe-trained baristas. 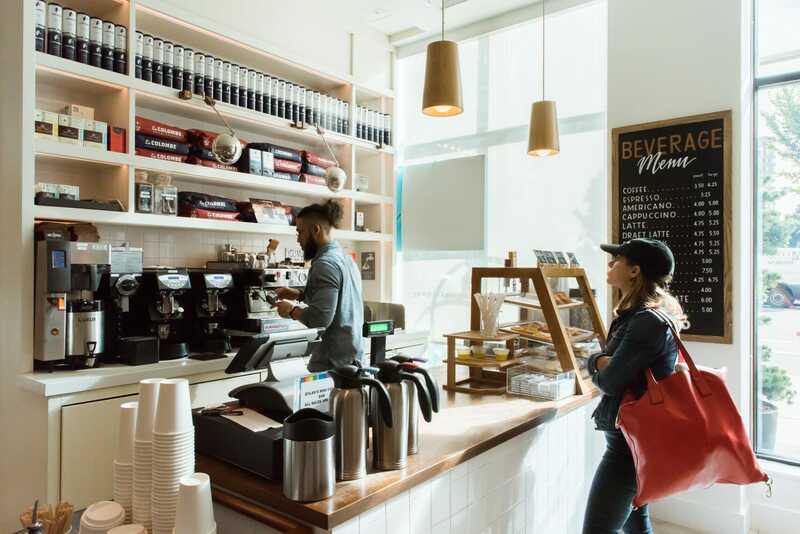 Egipciaco said they see quite a few customers on the overnight shifts, both guests and locals who need coffee at 4:00 or 5:00 a.m., before other coffee shops open. 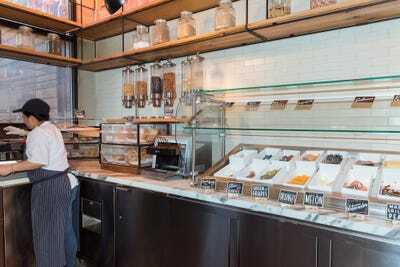 Dry snacks sold in the bodega come from a company called Farm to People, which Egipciaco calls an “Etsy for food,” and the perishables are made fresh on-site in the hotel’s restaurant. 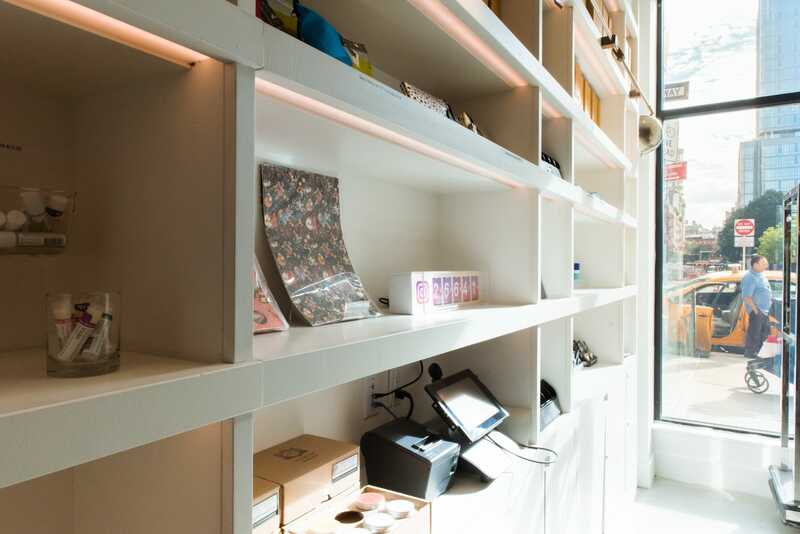 There’s also a kiosk for self-check in, and Arlo is also set to launch mobile check-in and mobile room keys in the next few weeks. 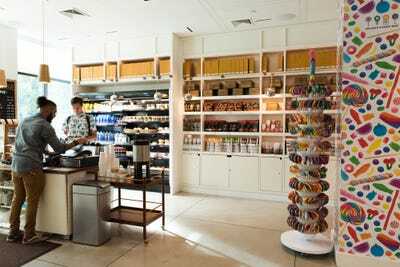 Displayed in the lobby area are small gifts and products from local partners, including Blind Barber and footwear retailer Concepts. 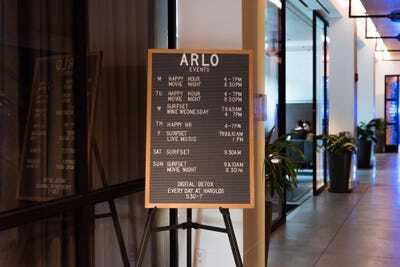 Arlo mainly collaborates with start-ups and small businesses. “These are really cool companies that we’re sort of discovering and putting front-facing to our guests,” Egipciaco said. 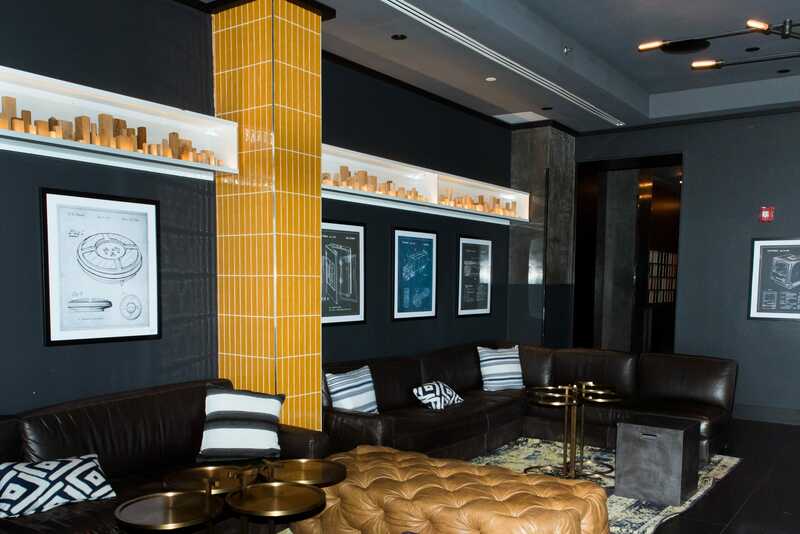 The entryway flows into the common guest areas. 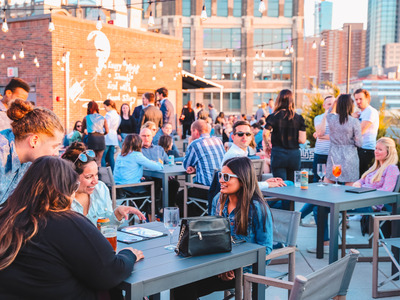 Arlo offers nightly events that can include movie nights with classic films screened with a projector in one of the lounge areas, live music nights, and fitness classes on the roof. 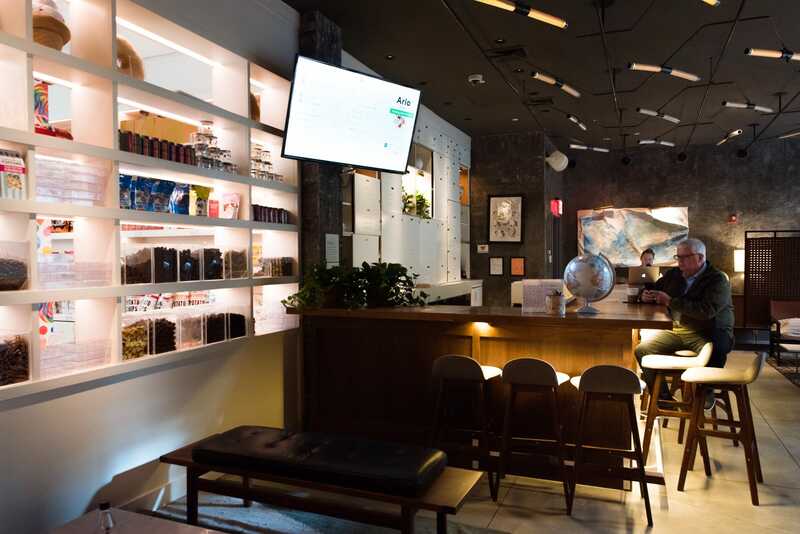 The space seemed much more inviting to me than a typical hotel lobby. 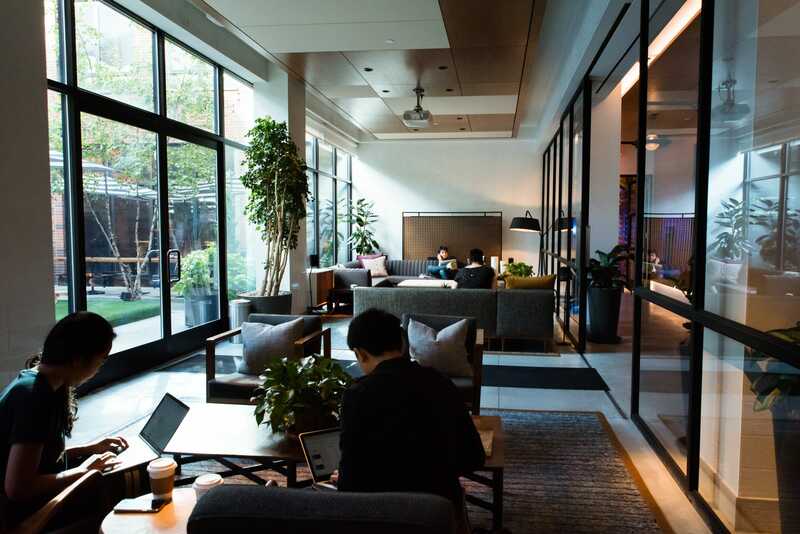 Several people were hanging out in the common areas, reading or working on their laptops. 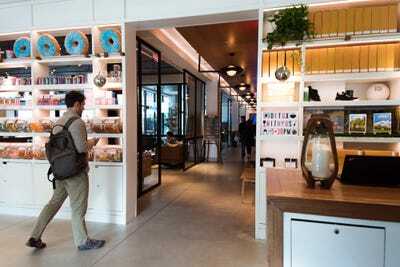 Egipciaco said that many people who use the space are not guests, but locals who live or work in the neighbourhood — and Arlo is totally fine with it, he said. 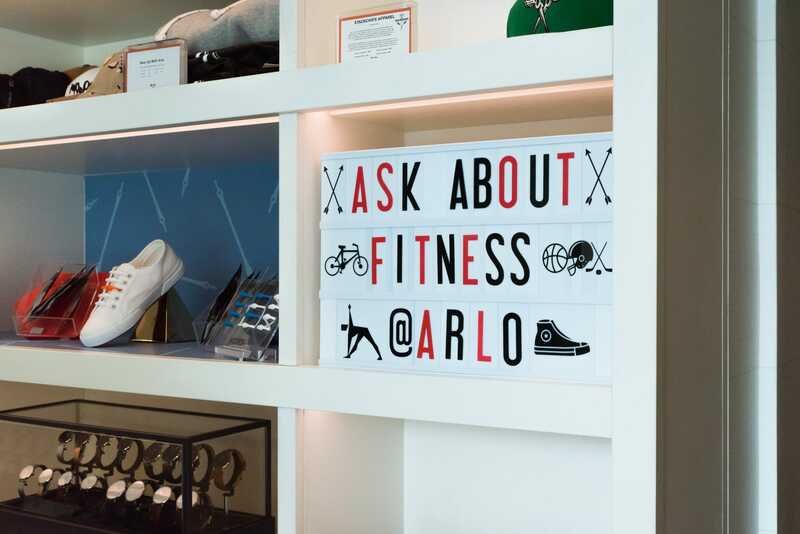 One of the pillars of Arlo is that it is approachable and inclusive to the local community as well as to guests, Egipciaco told me. Near the elevators on the lobby floor are cork boards where guests can leave notes. 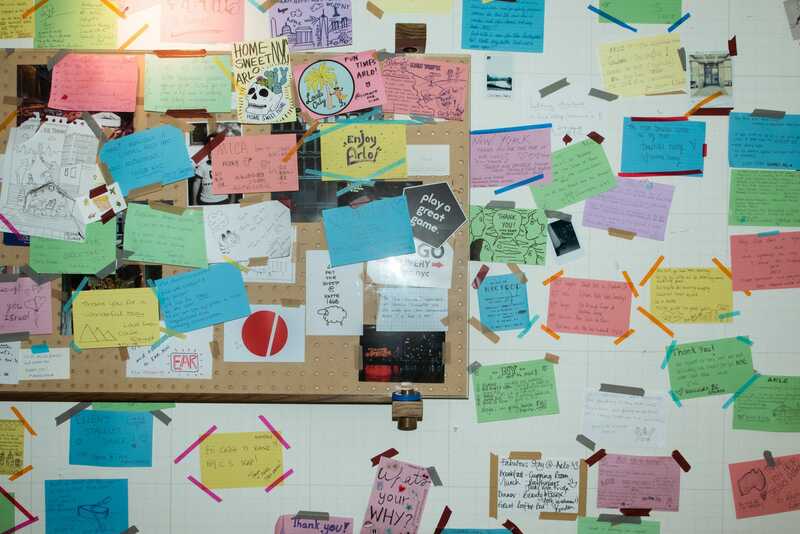 The colourful index cards have expanded to cover nearly the entire wall. 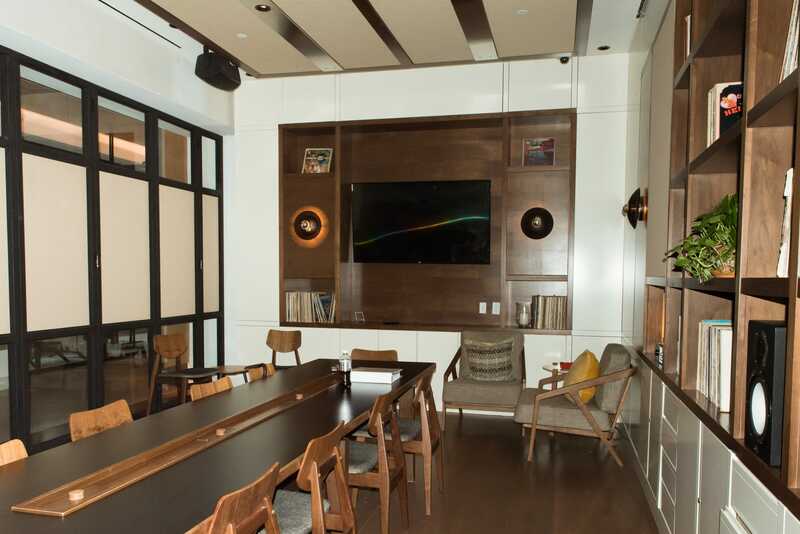 Arlo SoHo has three “studio” spaces for meetings and this library space, which has a flat screen TV and a boardroom table. 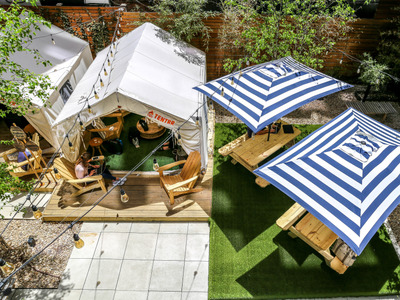 The hotel has a spacious inner courtyard that was occupied by two canvas tents and several umbrella-covered picnic tables at the time of our visit. Arlo partnered with a company called Tentrr to erect glamping-style tents where guests can hang out and eat and drink year-round. 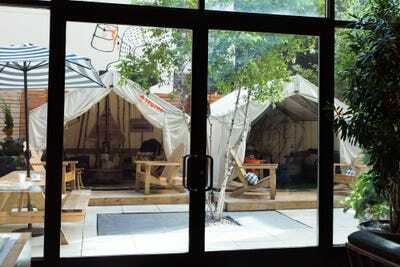 In the winter, the tents are heated. During the summer, Arlo partnered with the company Tipsy Scoop to serve boozy ice cream in the courtyard. 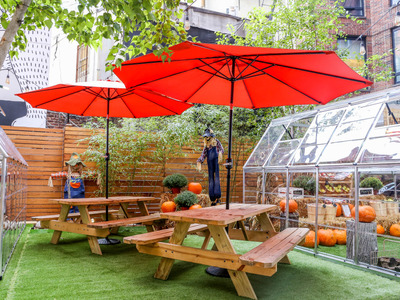 Soon after our visit, Arlo transformed its courtyard space into an urban apple orchard, complete with glass greenhouses, a farm cart with apples and pumpkins for sale, and autumnal drinks. The hotel restaurant recently simplified its name from “Harold’s Meat + Three” to just Harold’s, after chef Harold Moore. The space was airy and open and didn’t seem too formal or stuffy. 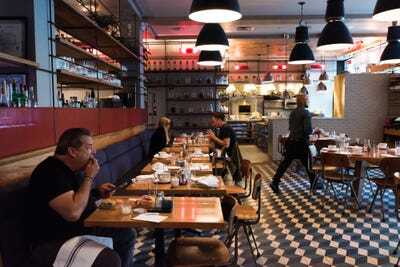 It seemed like a place where you could have a casual meal. 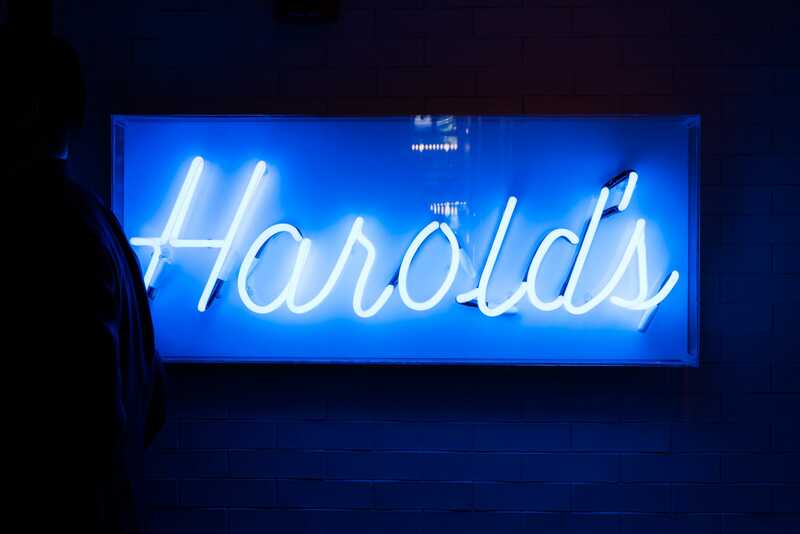 Harold’s serves seasonal American cuisine, which includes dishes such as sea bass with scallops, ricotta gnocchi, and ribeye steak with charred shishito, along with a selection of organic wines. At brunch, you can find plates that include a matcha and chia seed bowl, buttermilk pancakes, shakshuka, and of course, avocado toast. The breakfast buffet was one of the fresher and tastier-looking hotel breakfasts I’ve seen. At this point in the tour, I was feeling like this was a hotel where I could definitely see myself staying. 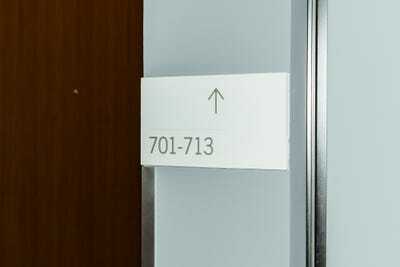 We headed to the elevators to see some guest rooms. The first room we visited was a queen-sized room. 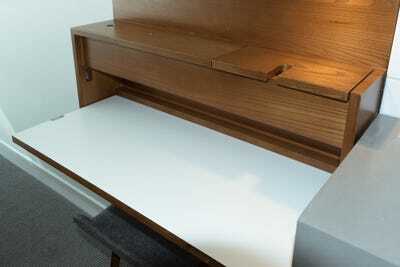 My first thought was that it was indeed small — but the design kept it from feeling cramped. The rooms are all outfitted with floor-to-ceiling windows to make the space seem larger. The TVs are mounted to the wall to save space. 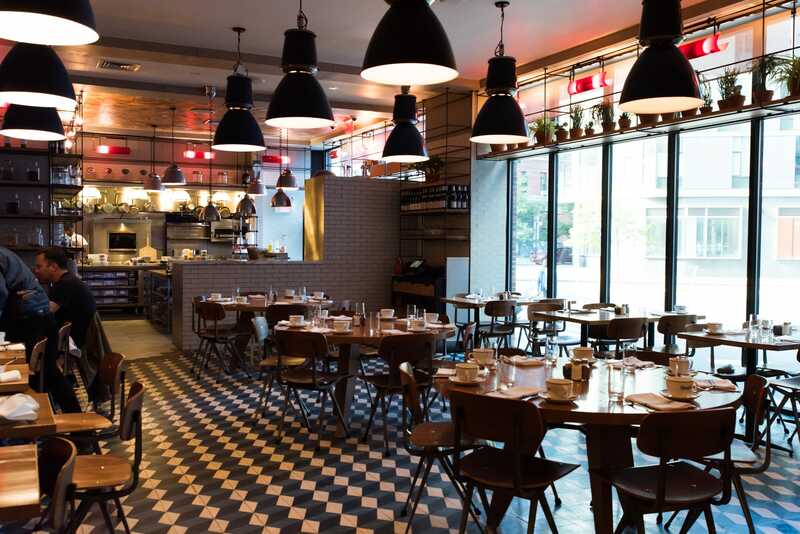 When you step inside the room, you’re immediately in the bathroom, which was a bit jarring at first. 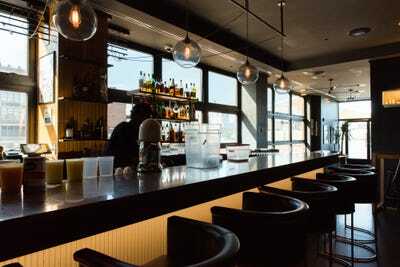 From the entryway, the toilet and shower are enclosed behind opaque glass to the left. 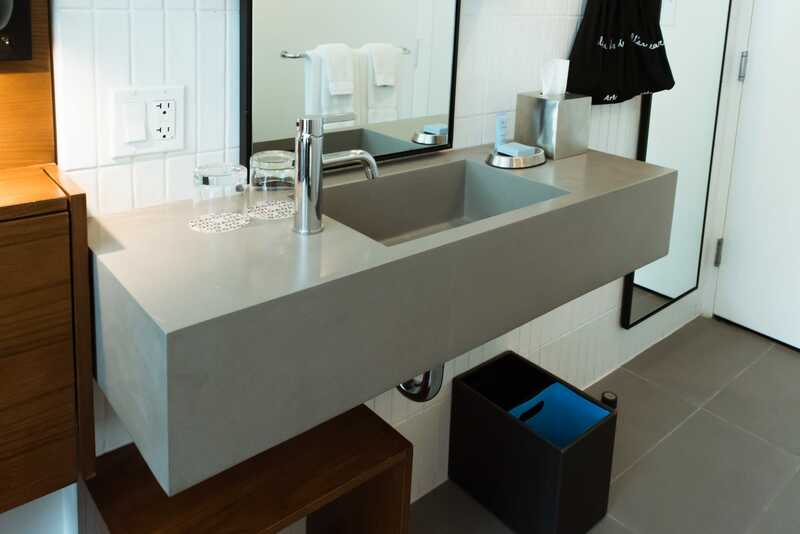 The sink is to the right. 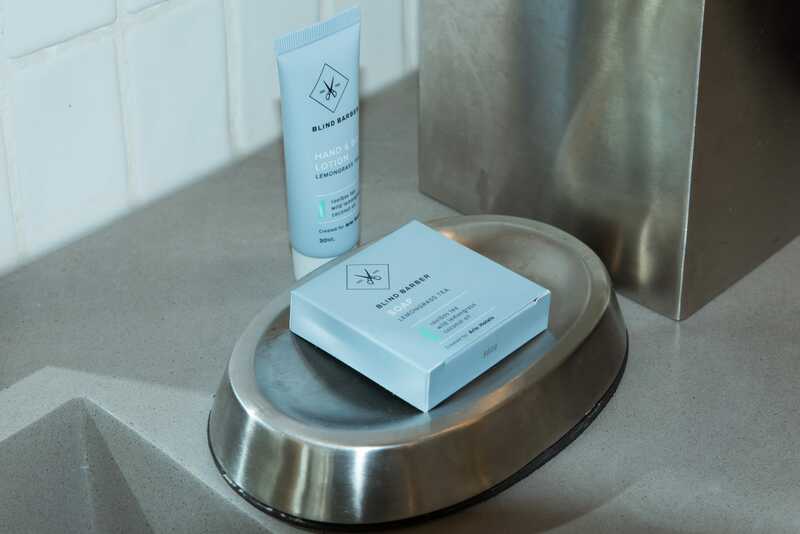 The bathroom toiletries are from Blind Barber, one of Arlo’s New York City partners. 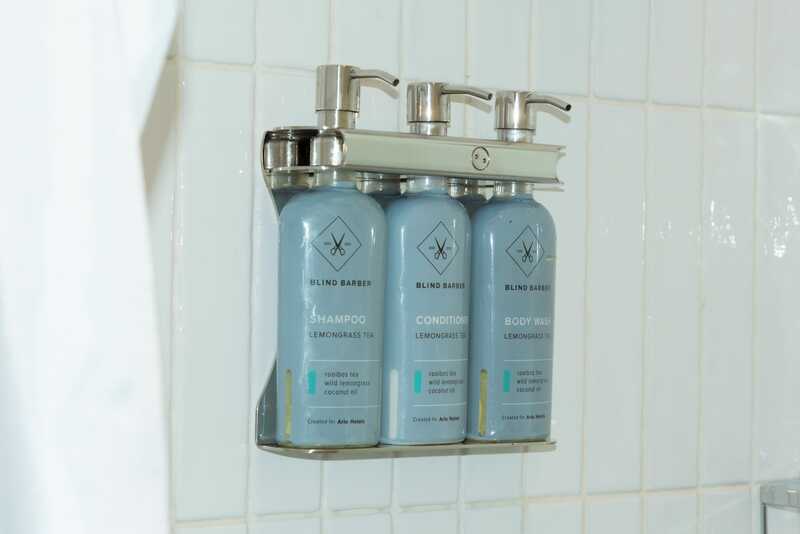 Instead of the mini bottles you might see in a typical hotel, the toiletries are full-sized with pump dispensers. Next to the bathroom sink is a small desk. 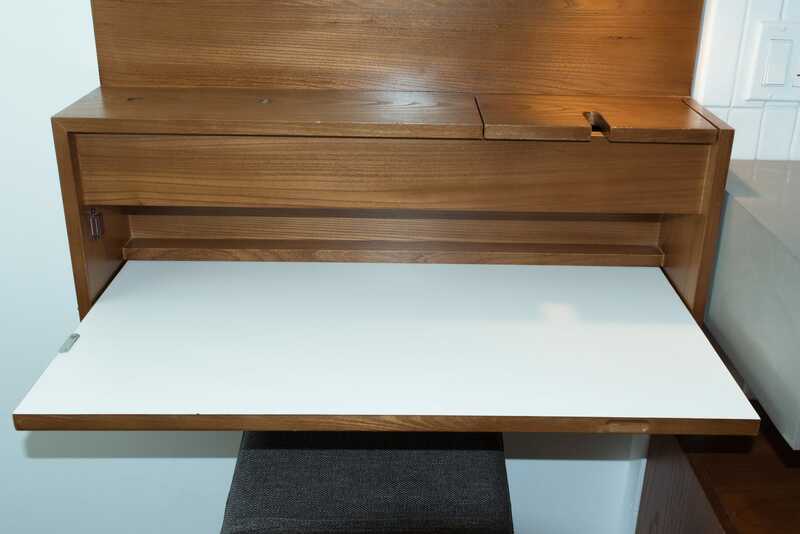 When opened, the desk looks like this, but the white section can also fold up vertically against the wall when it’s not in use. 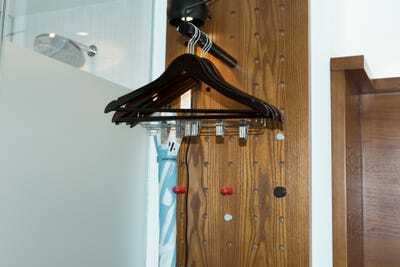 Instead of a closet, there’s an open hanging rack between the bathroom and the bed. We headed to another floor to see a king-sized room, as I wondered how the larger bed would fit in a room of the same size. As it turned out, the side of the bed stretched all the way to the window and the foot of the bed touched the wall where the TV was attached. There’s no room to walk around to the other side of the bed. 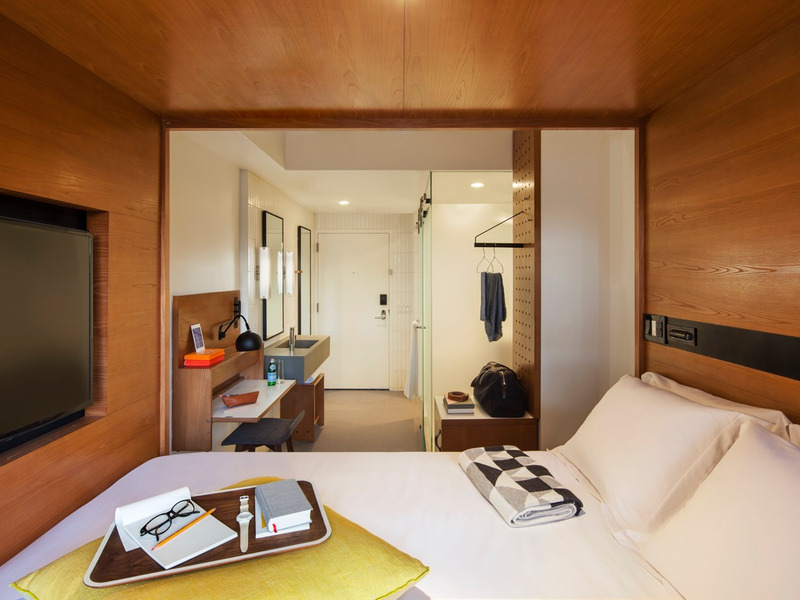 While it might make for a difficult sleeping situation for two people, the configuration almost made the bed seem like a cosy little nook. 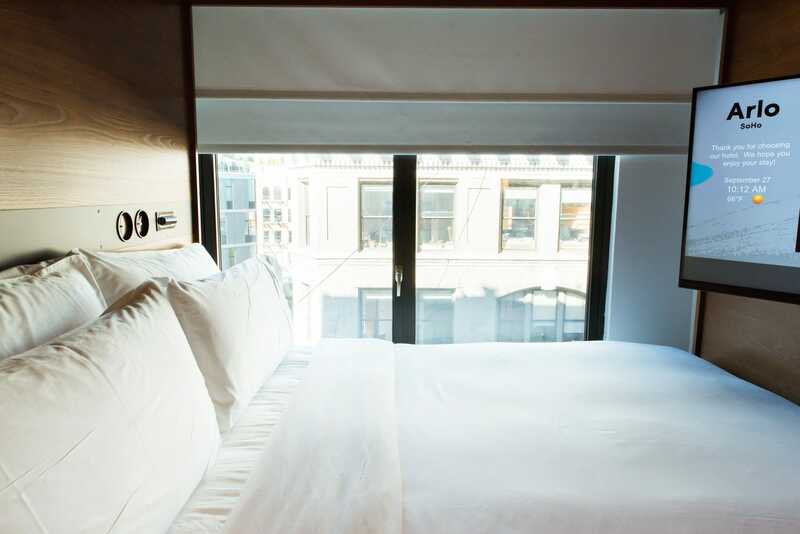 I don’t think I’d mind sleeping on this bed (even on the window side), but I can see how some people would find it uncomfortable. 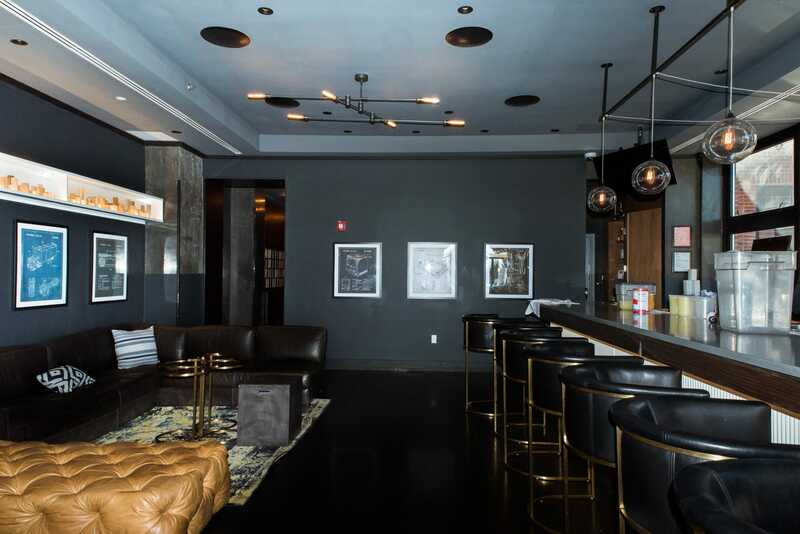 But some people do find the rooms to be too small, according to Yelp. 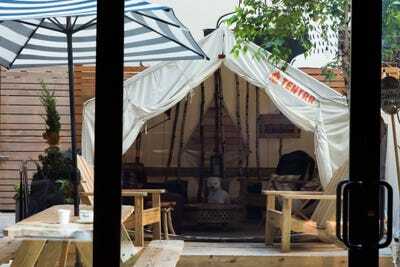 One person left a one-star review calling the hotel an “overpriced fancy hostel.” Egipciaco, however, was not offended when I brought up the hostel comparison. “…But we’re never comparing ourselves or we’ve never gone to market saying that we want to be a hostel,” he said. 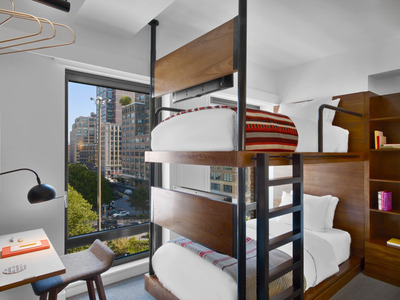 Of all the rooms, the bunk bed room — which we didn’t get to see in person because they were all occupied or being cleaned — is perhaps most reminiscent of a hostel. But I’ve definitely never stayed in a hostel with the same cleanliness and design of Arlo. 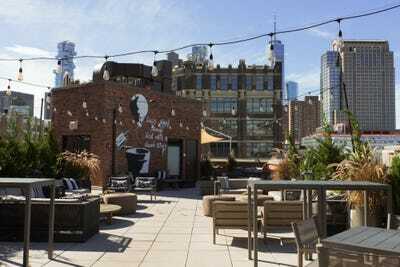 The last stop — and one of my favourite parts of the tour — was the rooftop bar. With the dark-coloured walls and leather furnishings, the bar had the feel of a swanky lounge. 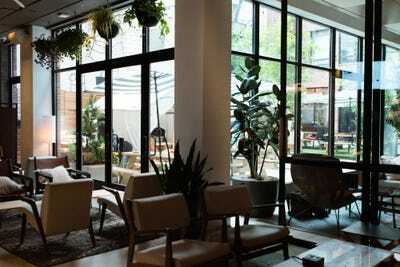 We stepped outside to the outdoor area, which felt very laid-back with its wooden furniture, assorted plants, and vintage-style string lights. It offers a decent view of New York City’s tallest building, One World Trade Center. 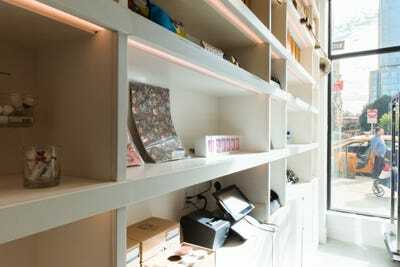 I could imagine how the lights would be particularly charming at night. 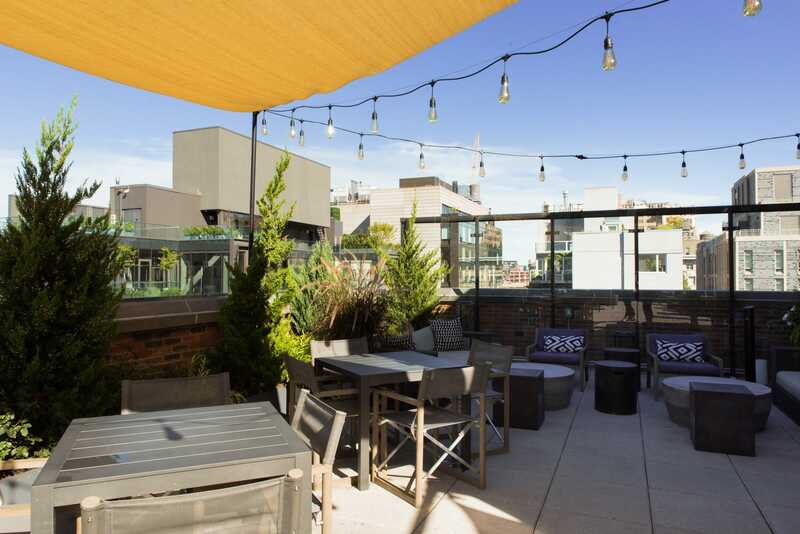 The rooftop is going for an an “elevated urban oasis vibe,” according to Arlo’s website. I didn’t know about Arlo’s rooftop bar before, but seeing as it’s open to the public, I’m seriously considering going back for a drink at some point. The hotel offers fitness classes on the roof such as yoga and Surfset, which takes place on surfboard-inspired machines. 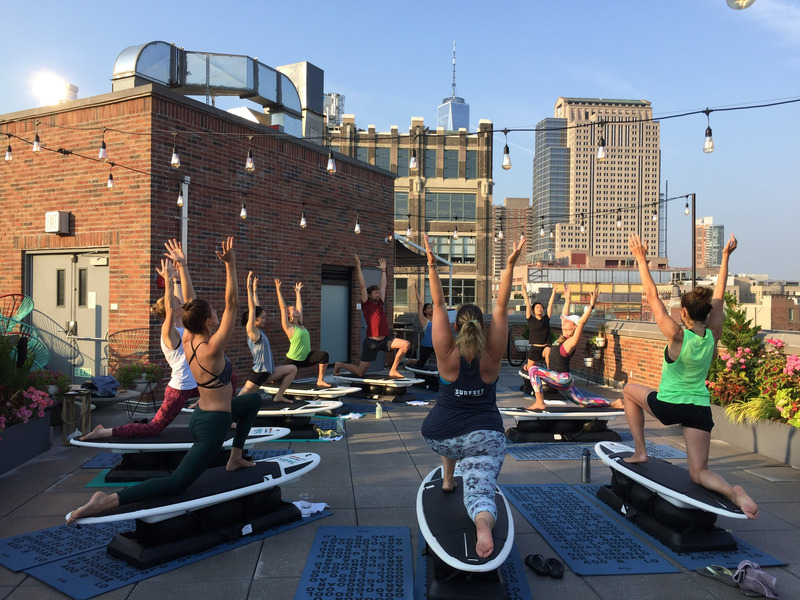 The classes are free for guests, but they’re also open to non-guests for $US25 for first-timers and $US32 for returning guests.